"I remember when I was growing up my mom would make granola. Coming home from school I could smell it baking. The mix of coconut, pecans, oatmeal, cranberries, wild flower honey and pure maple syrup was the perfect snack or breakfast. I'm so glad we put this on The Table breakfast menu when we opened three years ago--it's become everyone's favorite! New seasonal toppings on our granola and porridge are coming soon!" 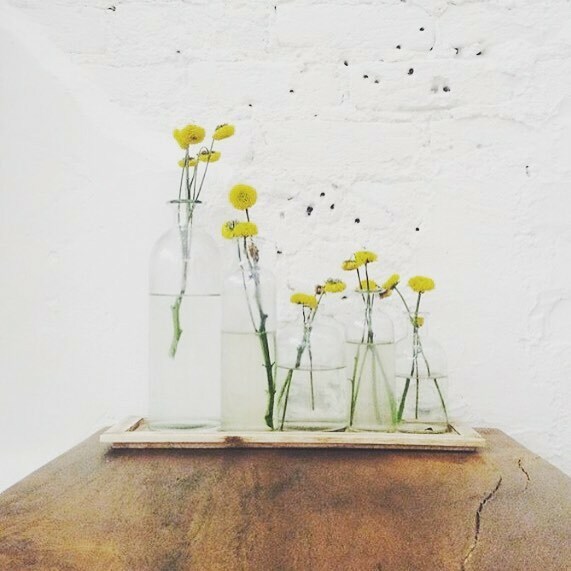 Our Market is always being restocked with beautiful, handcrafted goods for your kitchen and home. This Fall we have brand new French Market Baskets available for all of you out there who are longing for a touch of Europe at home. Just picture a weekend at the Farmer's Market--seasonal vegetables and fruit like squash and pumpkins are calling your name. While you could stuff your goodies unceremoniously into a backpack, you can't help but wish you had a beautiful straw market tote like the ones the Parisians always carry. Here’s your chance to snag a French market basket, perfect for carting home bundles of fresh flowers and wedges of stinky cheese. Also a great gift for Mom or a friend. Visit your local farmers at The Asheboro Farmer's Market on Tuesdays, Thursdays and Saturdays. Check them out on Facebook and make sure to LIKE and FOLLOW them. This bread is full of goodies and perfect for buttered toast or making a scrumptious sandwich. Cappuccinos are traditionally prepared with double espresso, hot milk and steamed milk foam. We make all of our espresso drinks with fresh local milk from Homeland Creamery and delicious house made syrups. 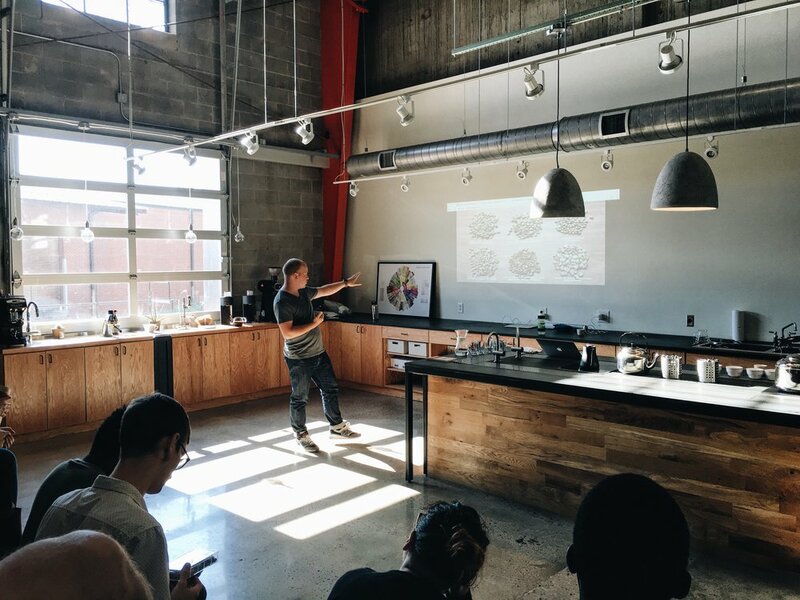 "Over our September closure week, a group of five of us baristas went to a Cupping Fundamentals Lab at Counter Culture Coffee's Head Quarters in Durham. It was incredible and expanded our knowledge for our work at the Table's Espresso Counter," says Barista Noah. 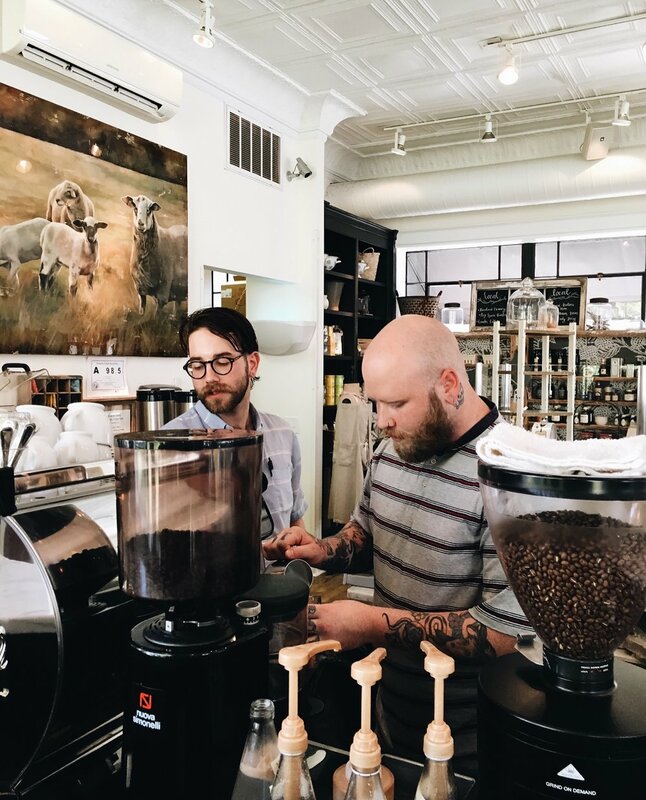 Housed in a nondescript warehouse in the Research Triangle area, Counter Culture Coffee holds classes, educational demonstrations and barista certification trainings for coffee professionals. While Counter Culture has similar training centers all over the country, their Durham location is unique because it is adjacent to their building that receives, roasts, packages and ships massive amounts of beans every day. Click here to find out more about Counter Culture. "Cuppings are fascinating and full of new knowledge for us because the help us as Table baristas develop our palates so we can learn to judge future coffees we encounter. It would amaze people to discover how many moving parts are involved in delivering the coffee that you see on the shelves of grocery stores or at a coffee shop." The next time you're getting a cup of coffee at The Table, don't be shy to ask Justin or Noah about their time at Counter Culture! The Table in Asheboro now has a designated pick-up line for carry-out orders and bakery items. Call in your order in advance, and then pick it up at the doorway next to the Market. We hope this helps expedite orders and limits long lines.